Burnett signed his exclusive-rights tender with the Jets on Thursday. Analysis: Burnett appeared in five games as an undrafted rookie in 2018 and could continue to work his way up the depth chart with the Jets. As things sit he appears on the fringe of the roster and will need a quality camp and some special teams contributions to earn himself a Week 1 spot. Burnett, an exclusive-rights free agent, has been tendered by the Jets, Randy Lange of the team's official site reports. Analysis: Burnett appeared in five games for the Jets last season, seeing all 128 of his snaps on offense and ultimately catching 10 of 15 targets for 143 yards, including three catches of at least 20 yards. He has to sit out of football is he doesn't sign the tender, so the USC product and former collegiate teammate of QB Sam Darnold is effectively set to compete for a depth role in the Jets' underwhelming receiving corps this offseason. Burnett caught all five of his targets for 73 yards in Sunday's 38-3 loss to New England. He finishes his rookie campaign with 10 catches for 143 yards. Analysis: Burnett racked up just more than half of his season production in this game, so it will serve as a nice start to his audition for a depth role with the Jets next season. Burnett was called up from the practice squad after latching on as an undrafted free agent, and his biggest selling point is his chemistry with quarterback Sam Darnold from their days at USC. Burnett will have an increased role in the offense Sunday in New England with Quincy Enunwa (ankle) and Jermaine Kearse (Achilles) out of the lineup, Rich Cimini of ESPN.com reports. Burnett failed to haul in either of his two targets in Sunday's 44-38 overtime loss to the Packers. 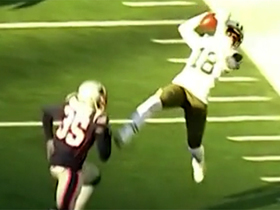 Analysis: Burnett made a spectacular one-handed grab behind the end zone on one of the balls thrown his way, but he was well out of bounds while doing so. The undrafted free agent out of USC is buried deep down the Jets' depth chart, but his chemistry with rookie quarterback Sam Darnold could allow Burnett to stick around with the team moving forward. Burnett (coach's decision) is inactive for Sunday's game versus the Bills. Analysis: Burnett lines up as the No. 7 wide receiver, and, with the other six wideouts healthy, he isn't needed at this time. Burnett has five catches on eight targets for 70 yards in three games this year. Burnett was blanked on two targets in Sunday's 13-6 loss to the Dolphins. 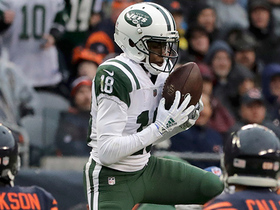 Analysis: Burnett fell back into obscurity with fellow wide receivers Quincy Enunwa and Robby Anderson both returning from their respective ankle injuries. Don't expect the undrafted rookie to play much of a role against the Bills in Week 10. 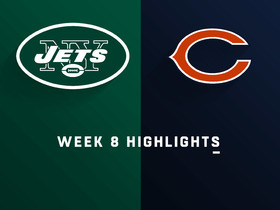 Burnett caught all four of his targets for 61 yards in Sunday's 24-10 loss to the Bears. Analysis: Burnett's excellent chemistry with former college teammate Sam Darnold was on display, as the undrafted rookie led New York in receiving yards. His most impressive play was a 29-yard catch on a jump ball that hit cornerback Kyle Fuller in the hands before being corralled by Burnett. With Quincy Enunwa and Robby Anderson both battling ankle injuries, Burnett's likely earned himself some more offensive snaps for the Week 9 tilt in Miami. Burnett caught one of two targets for nine yards in Sunday's 37-17 loss to the Vikings. Analysis: This was a forgettable day for most of the Jets, but Burnett created an unforgettable memory for himself by hauling in his first NFL catch. 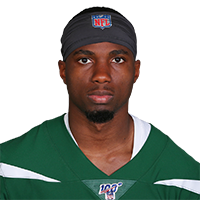 With Quincy Enunwa (ankle) likely to miss another couple weeks, Burnett should see a few snaps against the Bears in Week 8. Whether he can translate those snaps into meaningful production is a different matter. 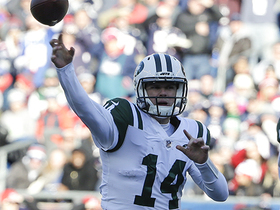 Burnett was activated from the Jets' practice squad Saturday. The Jets signed Burnett to the practice squad Tuesday, Manish Mehta of the New York Daily News reports. Analysis: Burnett signed with the Titans as an undrafted free agent in May and put together a strong preseason before being released during final roster cuts. He takes the spot of ArDarius Stewart, who was placed on the team's practice squad IR. Burnett was released by the Titans on Saturday, Terry McCormick of TitanInsider.com reports. Analysis: The undrafted rookie out of USC built up some hype during training camp and then caught 11 passes for 93 yards in the preseason. It wasn't quite enough to win a spot on the 53-man roster, but Burnett is a strong bet to resurface on the practice squad within the next few days. 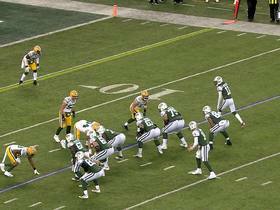 New York Jets quarterback Sam Darnold's pass is incomplete to wide receiver Deontay Burnett. 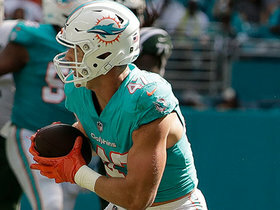 Miami Dolphins linebacker Kiko Alonso intercepts New York Jets quarterback Sam Darnold's pass intended for wide receiver Deontay Burnett. 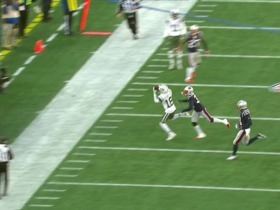 New York Jets wide receiver Deontay Burnett wins jump-ball catch and gains 29 yards.